An effortlessly cool vibe is achieved here with three oversize cobalt-glazed containers, spilling with pale blue, white, and green blooms to complement the bright yellow hue of the "Meyer" lemon tree. A mix of mostly pink and magenta blooms with pops of white and yellow are placed in three turquoise containers for a vibrant, beach-inspired walkway display. The mandevilla plant featured here is a common patio plant that can withstand the typical hot, muggy weather in the South. There’s a three-part rule when it comes to planting containers: Start with a “thriller,” such as daylilies or daisies. Then add in complementary “fillers,” like salvias. Finish up the container with a “spiller,” or in this case, sweet potato vines that slightly trail and cascade over the rim of the container. For a budget-friendly approach to the "thrill, fill, and spill" method, purchase vintage or galvanized buckets on sale at your local nursery. 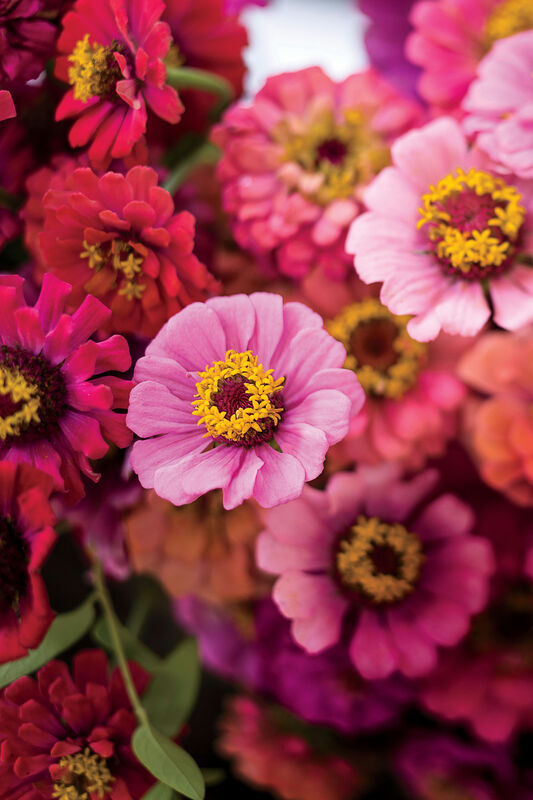 Usher in spring with a sunny arrangement of bright pink and yellow zinnias in different pots of various heights. Purple verbenas and blue calibrachoas are also tucked in the containers to fill out the base. A metal bucket is perfectly suspended here from a tree branch in the yard to add a little rusticity and Southern charm to your front yard. Periwinkles, Rieger begonias, coleus, and other annuals round out the hanging container garden. Dress up your outdoor patio area and accent tables with a container centerpiece. Here, dianthus is planted in layers for a romantic and precious display. Easily transform your outdoor space into a tropical escape with bold orange SunPatiens, purple Persian shield, and big, heart-shaped ‘Maui Gold’ elephant’s ear. 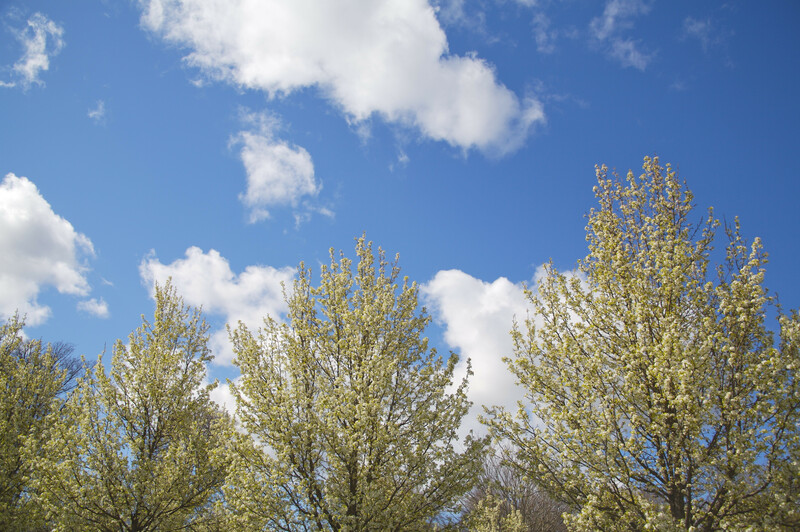 It’s a sight that makes you feel like you’re on vacation without ever leaving the front yard. Play to the height of your containers with these bold, striking snapdragons. Fill and spill open spaces with tulips, parsley, ivy, and Penny violas. Here, a raised container planted with bright red, fancy-leaved caladiums and creeping Jenny make a sweeping statement and grand front entry arrangement that’s too cool for the sun. Place this tall container in shady spots for low-maintenance care. Good things come in threes, including this beaming trio of 'Ogon' golden sweet flag, 'Matrix Yellow Blotch' pansies, and 'Penny Clear Yellow' violas. It can be tricky to get bulbs to bloom in the dead heat of spring and summer. Luckily, you can mimic the same beautiful results by filling a single container with heat-tolerant 'Baby Tut' dwarf papyrus, elephant's ear, 'Blackie' sweet potato vine, and 'Vogue Audrey' mandevilla. Here, a deep, cast-metal urn is planted with variant shades of pink and purple flowers, such as pink dianthus, blue lobelia, and pink angelonia, to create one harmonious container arrangement that faintly sings of springtime. In the South, there are many things we disagree on, but thankfully, one of them isn’t growing sunny daffodil bulbs to enjoy during spring. If managing a full garden isn't your style, we recommend instead turning to these bright, bountiful container gardens for inspiration. We picked our ten favorites – a variety of outdoor containers, indoor greenery, and porch perfection. Make a lasting impact with this large, freestanding container filled with 'Diamond Frost' euphorbia, coleus, 'Supertunia Vista Bubblegum' petunia, and geranium. Incorporating the 'American Gothic'-inspired pitchfork is totally up to you. 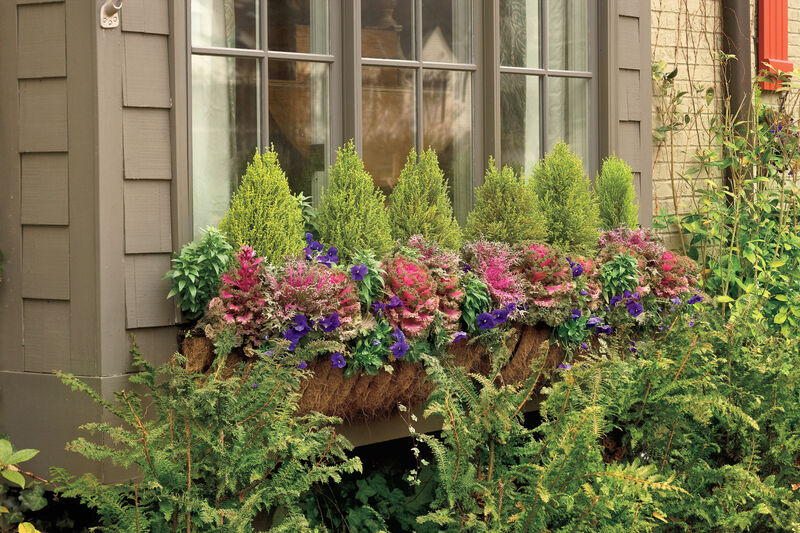 This entryway porch trio was assembled with copper-toned, metal planters of different sizes, planted with sweet potato vines, pennisetum, and rosy-hued geraniums, petunias, and angelonias. An odd number of spring containers are carefully grouped together to create a warm, rich vignette, which includes fiery orange calibrachoa, pallid white sweet alyssum, and luminous yellow nemesia. When it comes to filling hanging containers and baskets, we say the more the merrier. Here, Mini Cascade ivy geraniums are planted to create a trailing and tumbling effect. For a small-scale display, where you and your guests can really take in all the details, plant these variegated, low-growing violas for an eye-catching container. 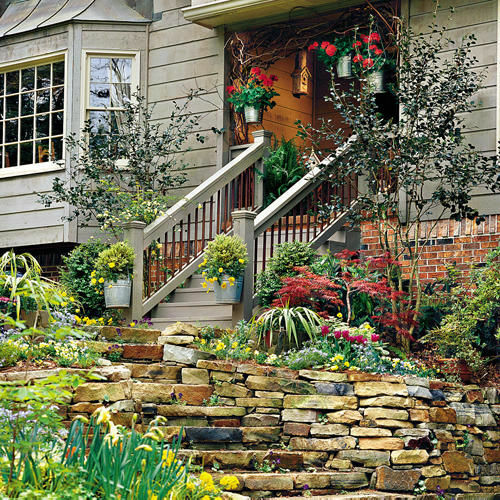 When a small porch or patio won’t do for a large grouping of containers, the steps leading up to your home can serve as a beautiful focal point for flowers. Add a pop of color to your front entryway by tucking 'Caliente Pink' geraniums, 'Surfinia Rose Veined' petunias, and 'Techno Heat Light Blue' lobelias around the base of three neutral-shade containers. Gardening requires hard work and patience, but fortunately for those of us who are short on time, impatiens don’t require much of it. And, most importantly, impatiens can survive in hot, humid weather. May your containers runneth over with the plentiful pink blooms of 'Strawberry Sundae' twinspur, a flashy yet small perennial of the Diascia hybrid. Pair with violas and kale to really create a thrilling and spilling garden display. Potted arrangements of no-fuss succulents will last throughout the summer, with very little effort required on your part beyond giving this container a good soaking at least once a week. This bright and fresh miniature container garden of SunPatiens, foxtail asparagus fern, and 'Neon' pothos will thrive throughout spring and summer, even in direct, ambient sunlight. Update a vintage container with bold, heat-tolerant geraniums and a backdrop of rambling green plants. Let your Tiger pride shine with an LSU-themed container garden. A strong visual impact is made with a high-contrast foliage combination of deep purple and a bright, summery glazed pot. Even if you're not a football fan, this is still a showstopping display that will wow your guests. Tap into your inner wild child by planting free-flowing and colorful 'Tiger' fern with tulips, pansies, acorus, heuchera, and variegated ivy. 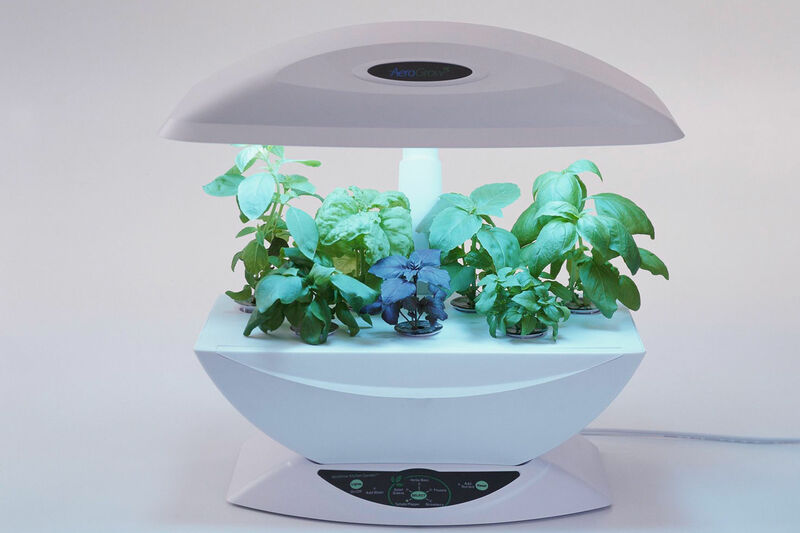 Here, we let the plants grow and flow, just as good old Mother Nature intended. Geraniums, calibrachoas, and mecardonias in bright red, yellow, and purple combine to make one pretty grouping in these whitewashed containers. 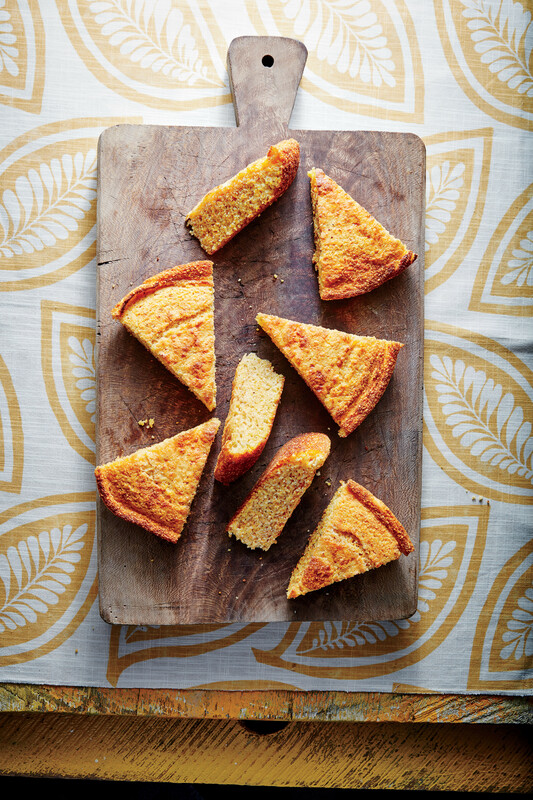 Here, elephant’s ear takes the spotlight. Placing it front and center in a concrete urn allows you to appreciate its oversize leaves up close and personal. Unify your container garden arrangement by repeating the color of the pots, rather than the flowers. That gives you more freedom to play around with color and texture when it comes to creating a lush, springtime combination in each container.